Imagine it were possible to bring the characters from a book to life. Not like when you listen to an audiobook with such enchantment that the characters seem to jump off the pages and into your bedroombut for real. Imagine they could actually climb out of the pages and into our world. Then, imagine if those characters brought their world into ours. This is the story of young Meggie, who lives a quiet life alone with her father Mo, a bookbinder, until one cruel night when Mo reads aloud from Inkheart and an evil ruler named Capricorn escapes the boundaries of fiction and lands in their living room. Suddenly, Meggie is smack in the middle of the kind of adventure she has only read about in books. Somehow, Meggie and Mo must learn to harness the magic that conjured this nightmare. Somehow they must change the course of the story that has changed their lives forever. 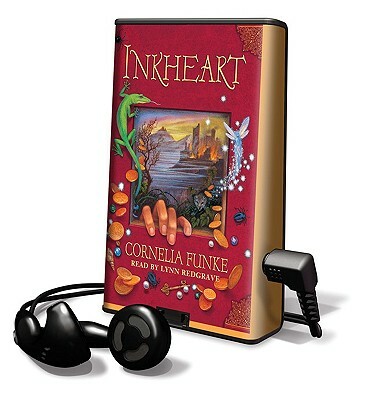 This is Inkheart, a timeless tale about books, about imagination, about life.